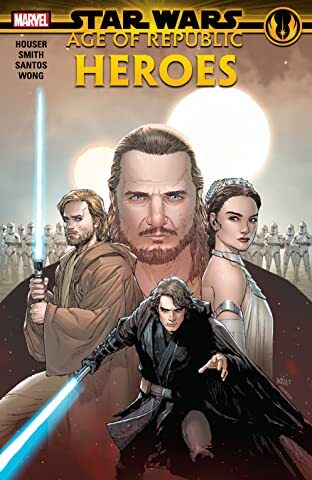 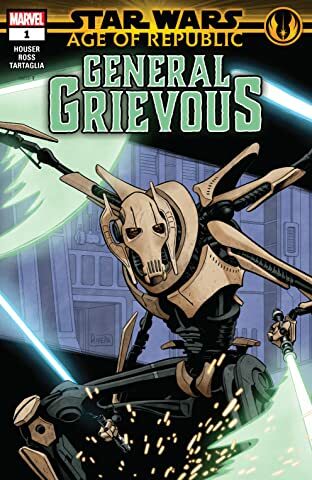 Collects Star Wars: Age of Republic - Anakin Skywalker 1, Star Wars: Age of Republic - Obi-Wan Kenobi 1, Star Wars: Age of Republic - Padme Amidala 1, Star Wars: Age of Republic - Qui-Gon Jinn 1; material from Star Wars: Age of Republic Special 1. 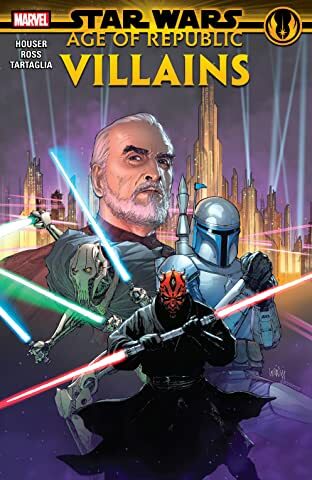 This is the Age of Star Wars — an epic series of adventures uniting your favorite characters from all three trilogies! 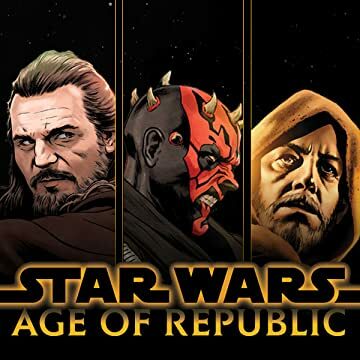 Join the greatest heroes of the Old Republic. 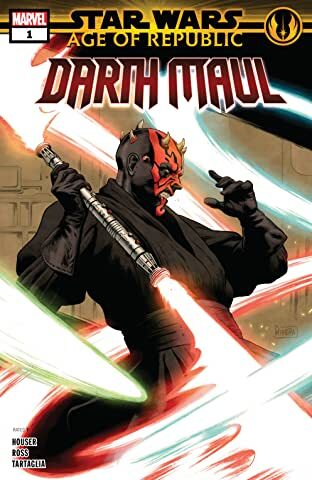 Witness the moments that define them, the incredible battles that shaped them — and their eternal conflict between light and darkness! 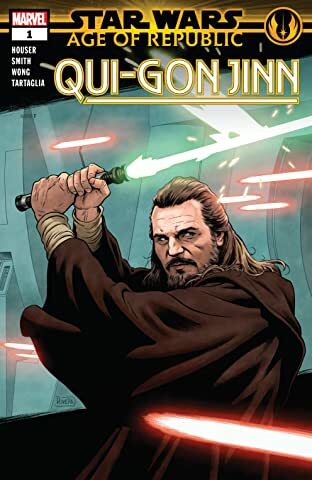 Maverick Jedi Knight Qui-Gon Jinn is known to bend the rules — but a mission gone awry forces him to confront his conflicting beliefs! 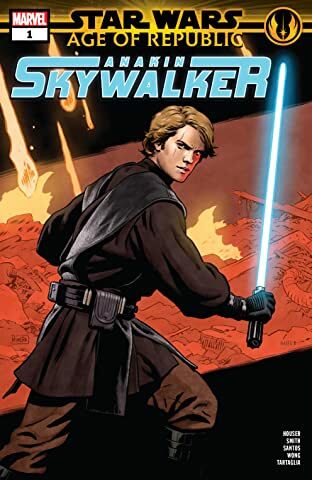 Anakin Skywalker has a chance to strike a devastating blow to the separatist cause. 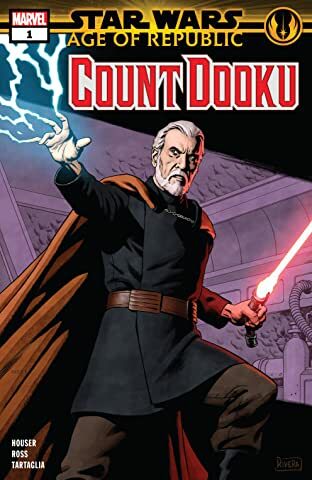 Will he choose the darker path or hold true to the Jedi code? 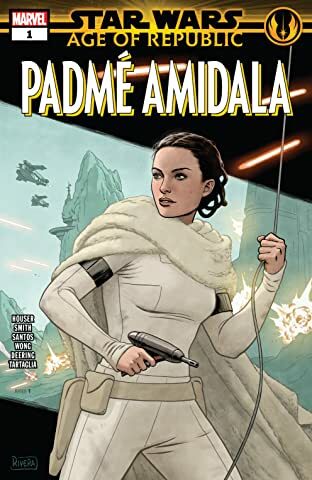 Padmé Amidala sets out on a secret mission! 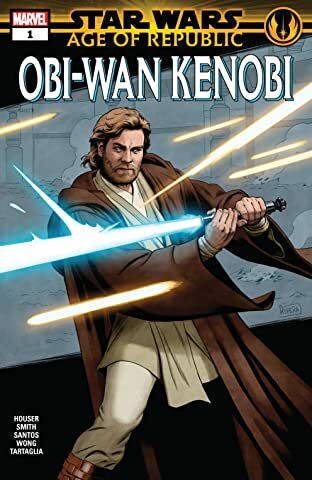 Obi-Wan Kenobi, Master Jedi, takes on an apprentice. 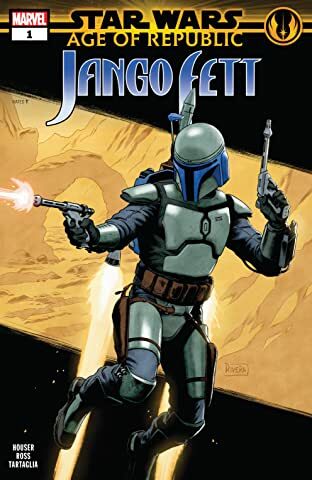 Will his mission alongside his young Padawan bring them closer together or sow the seeds that will drive them apart? 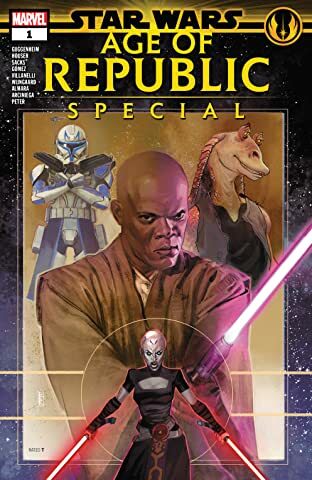 Plus: Mace Windu, Captain Rex...and Jar Jar Binks!